Fourteen students will intern with Conyers over the course of two six week terms, working alongside partners, associates and trainees and participating on active deals and cases in the Corporate, Litigation and Private Client and Trust practice areas. “Our summer law programme ensures students receive practical experience that enables them to apply their academic skills in a real-world setting. This helps them to better understand their future roles as lawyers”, said David Cooke, Director and Head of Corporate in Bermuda. A spokesperson said, “Conyers’ summer law programme also features numerous other learning opportunities through a series of workshops hosted by lawyers and employees in Financial Management, Business Development and Corporate and Trust Services. These sessions provide insight on professional development and the transition from student to lawyer. 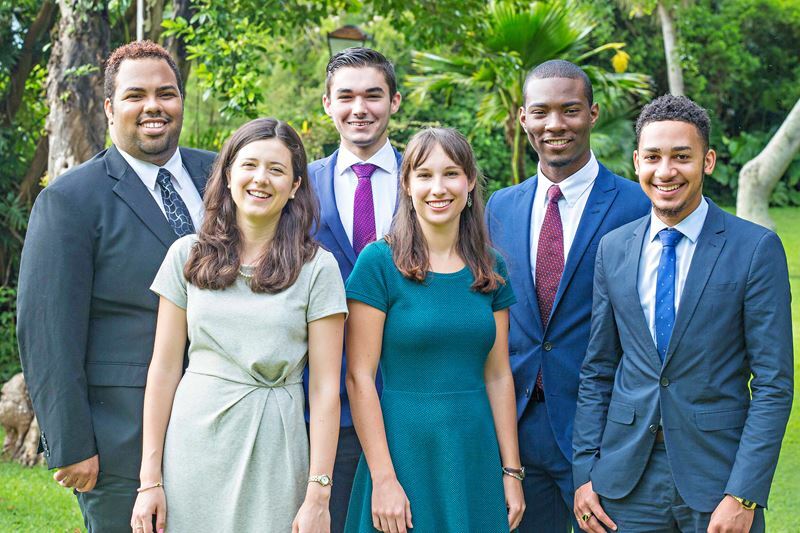 “In early August, some of the law students will also participate in the Hector Barcilon Moot competition, hosted by the Bermuda Bar Association. Team Conyers is looking to defend their championship at the annual event.